My friend Anthony stopped by my office with the explicit message that I have been fibbing on my blog. In truth, I have worn jerseys, but lately they're not quite in rotation in my day-to-day wardrobe. Here is evidence of me wearing a jersey. 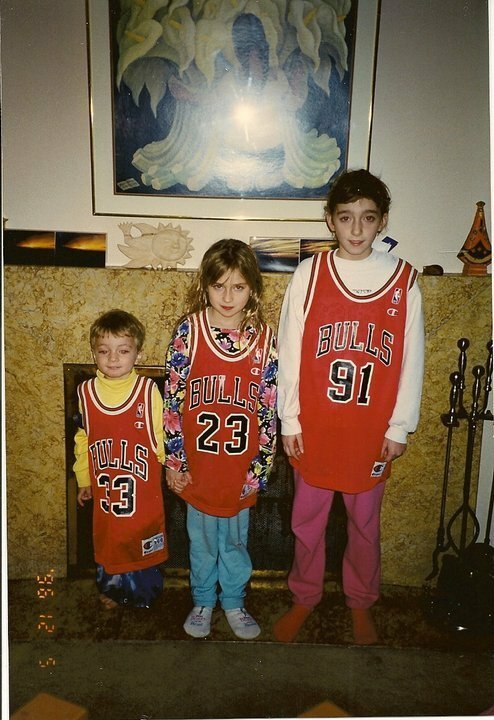 NOTE: THIS WAS TAKEN DURING THE MIRACULOUS YEARS OF THE CHICAGO BULLS THREEPEAT. omg. hahaha i love it! That's cool. At least your children can wear them too. By the way, I love Chicago Bulls too.